Check-in Every Tuesday or Thursday. 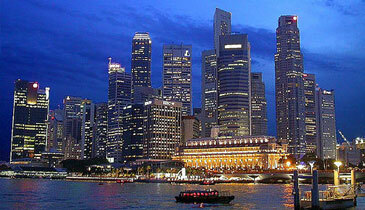 Singapore is an amazing land that offers innumerous attractions and endless entertainment. Best theme parks, vibrant islands, most wonderful sightseeing, impressive hospitality, friendly people, cosmopolitan lifestyle… the list goes endless when we talk about Singapore. Add a luxurious stay on Dream Cruises on your trip to Singapore to make it more fun, more unique and much more memorable. Sail through exotic islands and enjoy a delightful cruise holiday. Hop on to this holiday now. 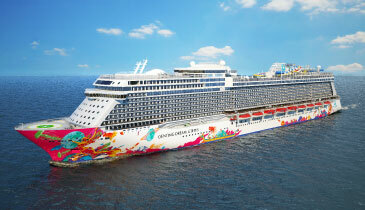 2 Nights Stay on Cruise (Dream Cruises). *You will need to Pay Rs. 1,000/- per person (Extra), If your transfer timings are not between 7 AM - 6 PM. Hotel Surcharge (as Applicable) to be Paid Extra. You can enjoy a cozy morning time in your bed as you have a relaxed morning today. Have a fill at morning breakfast and check out from the hotel by 1200 hrs. Enjoy leisure time in Singapore exploring nearby places until your pick up from Hotel Lobby for Cruise terminal to board your cruise. Boarding starts 4 hours prior to departure. After a warm welcome on board, explore and enjoy the various facilities offered. Wake up to an exotic morning over the seas. Enjoy a bed tea while taking stunning sea views. The beauty of sunrise on sea is incredible. Refresh and enjoy a wide spread of breakfast on board. (Note: Your sailing routes depend on your departure dates) Onboard, you can enjoy various entertainment activities, shopping and dining at in-house restaurants. Enjoy another beautiful morning over the deep seas. Relish wide spread breakfast and enjoy the aura for a while longer before going back to the land. On your return to Singapore, disembark from the cruise and meet our local tour representative for your transfer to hotel. Check-in and relax. Rest of the day is free at your own leisure. It can take a while to get back to the feeling of being on land. We suggest you to take rest today. In evening however if you feel like, you can step out to take leisurely strolls and relish some local delicacies. After having morning breakfast, set out for a City tour. Drive round the Central Business District passing the Cricket Club, Parliament house, Supreme Court, etc. See the glorified Orchard Road with its best brand showrooms. Visit the enchanting China Town and get awed with the dazzling gems at the Gem Gallery. Then we visit Marina Bay, the most clicked Singapore’s landmark. The sheer exuberance of the area will leave you open jawed. See the majestic Marina Bay Sands and the ‘wonder’ful architecture of the Esplanade and how can you miss the Lion while being at the Lion City! Yes. Click great pictures in front of the Merlion. We also visit Little India, to make you feel at home! Later, you can choose to return to the hotel or we suggest you to opt for an Afternoon trip to Sentosa Island (at extra cost) for a fun filled day ahead. 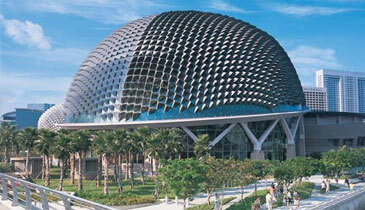 Sentosa Island is an excellent entertainment and hospitality hub developed by the renowned Genting Group. Enjoy a visit to Sentosa Island and get involved in numerous fun activities. Enjoy a thrilling 4D Magix Show and get on the super-fun Luge & Skyride. After an eventful day, enjoy dinner at an Indian Restaurant and return to the hotel. City Tour, Singapore covers all the major tourist attractions of Singapore like Merlion, Orchard Road, China Town, Little India, Gem Factory and the Central Business District. The tour offers a glimpse of Singapore’s Culture and heritage. My team joins me to thank you for making Singapore tour a memorable and an exciting experience. The ticketing and visa arrangements were smooth and swift. The courtesy extended by your Singapore team was marvelous. The sightseeing was remarkable. The food was really sumptuous specially at "Sitara" & "Bayview Tandoor" restaurants. The Wifi facility and Breakfast arrangements at Hotel were appreciable. A wonderful tour all in all. Thanks once again to DPauls. We were two families with kids and wanted a real good break. We were surfing through travel portals and finally found this package to have almost all that we needed in best prices. We easily saved quite many bucks with dpauls!! :D However, i so much wished we cud also see outdoor park but that is closed down. That was the only sad part else everything was great. Children loved to stay at Genting. Singapore is wonderful! We will definitely visit again once outdoor park is open again. I recently took up Singapore-Thailand tour of yours. I must say the services received during the tour were excellent. The whole experience was awesome. Overall, the tour was truly value for money. I would recommend travellers taking your tour to go ahead anytime. Also I must mention that the efforts put in by Ms. Sangeeta and Ms. Megha Kohli of your agency were quite appreciable. A valid passport with at least six months validity on the date of departure from Singapore. If the applicant is holding any old passport, it is mandatory now to enclose the same. Two recent coloured passport size photographs adhered to the form (35 mm wide by 45 mm high without border and taken within the last 3 months; taken full face without headgear, unless the applicant habitually wears a headgear in accordance with his/her religious or racial custom but the headgear must not hide the applicant's features. The facial image must be between 25 mm and 35 mm from chin to crown; taken against a plain white background with matt or semi-matt finish.) Please note that scanned or unclear photographs will not be accepted and kindly ensure that your form is properly completed. Any incomplete submission or false declaration will result in the application being rejected. Please note one photograph should be pasted on the visa form and signed across, second photograph should be attached with gem clip. Visa is valid from three months or upto two years at the discretion of the High Commission. All visa applicants are required to complete the visa application form 14A in full i.e. all columns and blank spaces to be completed. The visa application forms are available free of charge. Important Note: Every application will be considered on its own merits. Possession of a visa does not guarantee entry into Singapore. Visitors must also meet entry requirements such as holding a valid passport, sufficient funds for the period of stay in Singapore and confirmed onward/return air ticket. This package cost is based on national SGD rate at Rs. 52/-, the bench mark rate taken uniformally as SGD is too much volatile and can’t be changed in itinerary / handout frequently. This is the HDFC Bank TT Selling rate taken at which the Bank will be making remittance to vendors abroad through Telex Transfer for land-arrangements etc. Please don’t get confused with the Inter Bank rate or Currency buying / selling rates being quoted on Currency rate sites or Bank’s Currency trading site.